” President Donald Trump’s Week 13 in Office – April 17-21, 2017 – Words and Actions Can be Different in Governance” – April 21, 2017. Here’s a compilation of events/actions initiated by President Donald Trump during his Week 13 in Office. 1. President Donald Trump signed an Executive Order to curb foreign workers, to safeguard the interest of American workers, and to put an end to “the theft of American prosperity” resulting from low wage immigrant labor. 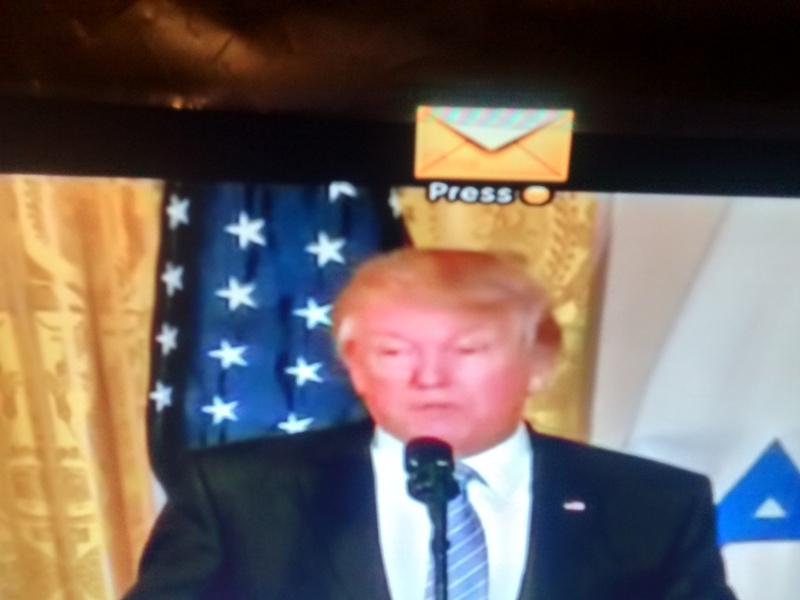 The order is a reflection of his resolve to implement one of the electoral promises – “Buy American, Hire American”. 2. President Donald Trump wants Government agencies to purchase more products and services from US companies and hire more American workers. 3. China, Japan, and Canada were the focus of President Donald Trump’s anti-trade action this week, with America’s steel imports from the first two on investigation, and the financial injuries caused to American Dairy Farmers due to Canada also finding strong expression. Policy changes are unclear at the moment, though. Supporters will be happy. 4. In a Congressional contest in Georgia, (represented by Tom Price, presently the Health & Human Services Secretary) that gave powerful jitters to the Republicans, Jon Ossoff, the Democrat, missed his majority by the skin of teeth setting in motion a June run off with Karen Handel, the leading Republican in the group. It is a warning sign providing time for corrections that Republicans as a group need to put their best foot forward in the 2018 contests. 5. Carl Vinson, the US aircraft carrier, and four other warships ordered in to the Sea of Japan intended to be a deterrent to North Korea’s provocative missile tests turned in to a cause for worry as at the moment they were sailing in the opposite direction to partake in joint exercises with Australian Navy in Indian Ocean. 6. North Korea’s UN Deputy Representative, Kim In Ryong, at a Press Conference unleashed a torrent of threats, war scenarios, and rhetoric aimed at US. Vice President, Mike Pence, warned North Korea not to test the resolve of U.S.A. or “the strength of our military forces”. Pursuing diplomatic moves are not ruled out. North Korea’s UN ambassador condemned the US naval build up in the waters off the Korean Peninsula, plus the US missile attacks on Syria. Kim said : “It has created a dangerous situation in which thermonuclear war may break out at any moment on the Peninsula & poses a serious threat to world peace & security”. 7. Pentagon begins review of US nuclear weapons policy. 8. Democrats will consider how the proposed tax code will benefit President Donald Trump and his family before taking a stand on support or otherwise for the “tax code” action. Republicans also seem divided on this issue. 9. Justice Department is weighing whether to charge Julian Assange, the founder of Wikileaks, for his role in the disclosure of classified information that the US claims has harmed the National Security and Diplomatic relations. President Donald Trump’s administration terms Julian Assange’s Wikileaks as a “hostile intelligence service”. 10. Bill O’Reilly, the celebrated prime time host on Fox News has been ousted due to disclosures on his multiple settlements involving sexual harassment allegations against him. 11. Ivanka Trump, President Donald Trump’s daughter, has filed 173 foreign trademarks in 21 countries including Hong Kong and EU. 12. Attorney General, Jeff Sessions, says :”I’m amazed that a judge on island in the Pacific can block President Trump’s Immigration Order”. (a) Product : President’s actions do not appear to suggest any clear model worthy of imitation or following at this stage. Even many of his followers who staunchly favored him in the Election would not consider his actions constructive enough to be copied marking a pattern. If some of his retreats may have added new support hitherto unnoticed, the same would have eroded some in equal measure from his loyal constituency. The result overall may not be much to boast of or be proud of. The singular characteristic that stands out amid all his flip-flops, confusion, disquiet & disorder, anxiety, and even embarrassment is his surge of continuity in behavior, gestures, and operations suggestive of a ‘fighting mode’ to reverse the order of events he views as important to his goal. “This is his Product”. Even with this silver lining it seems hard to arrest the growing negative public perceptions to any degree. This presents his biggest challenge after the first 100 days of ‘uneasiness’. 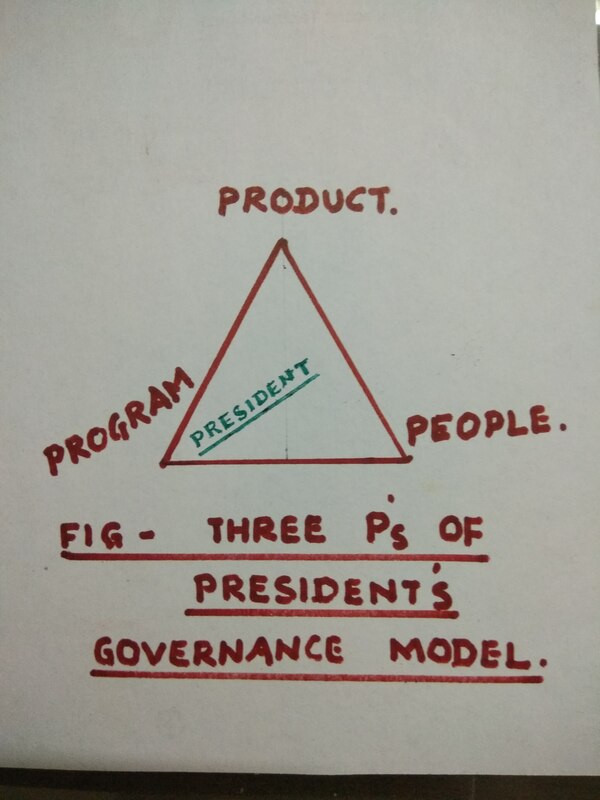 (b) Programs : The program(s) that the leader places in front of his people, howsoever incomplete or imperfect they be, are what will decide and render feedback in respect of the progress/performance of the leadership team vis-a-vis people’s readiness to accept or reject them. He needs a “program” that is capable of shaking the status quo in Washington DC that has the potential to bring about a positive change in Governance. It is appropriate here to mention the program initiated by the Indian PM on job & skills development to employees. With President Donald Trump’s emphasis on promoting jobs in manufacturing specially, such a massive training program by companies in partnership with academic institutions and the government will afford a significant move ahead. (c) People : People, perhaps a majority now, generally expect that President Donald Trump will fail to inspire or slip up in his programs as it happened with the tweets, and to an extent barring the spontaneous retaliatory attack on Syria and a little less in the case of changing the lottery system in H-1B visas ostensibly to promote American workers dwelling under their own vine and fig tree(s), his actions have largely been a vindication of this aspect – “America First”. What he is attempting is to walk a different path untreaded before. Without focusing big on what he wants, a focus to bridge the gap between the rich and poor is imperative. This only can make him a “people’s president’. To conclude : The present government now in its nascent stage(s) can best be described in terms of a start-up in business with a ‘best common viable goal’ – the goal of making America First – with a plain and ordinary PRODUCT moving ahead to settle a small element of a Big purpose and progressing forward. These are days of start-ups and not behemoths and that should be more than encouraging to the present leadership team even if election campaign words turn out to be different from concrete actions. Saturday, April 22, 2017 – 8. 29 a.m. (IST). Tidbit : ” It takes 20 years to build a reputation and just 5 minutes to ruin it”. – Warren Buffet.